Roy Lichtenstein's Mermaid Hull is currently installed at Middlebury College Museum of Art. On May 26, the America’s Cup begins in Bermuda, with the U.S. as defending champion. 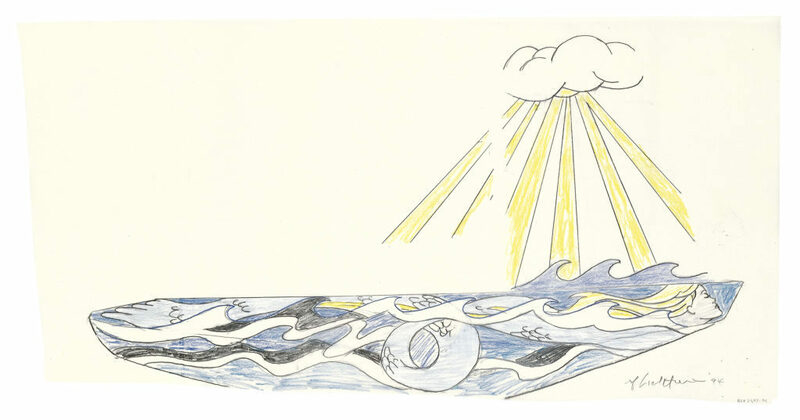 On the same day,”Young America: Roy Lichtenstein and the America’s Cup” a show that celebrates Roy Lichtenstein‘s beautiful design of a mermaid-decorated sailboat—with its own America’s Cup history—goes on view at the Middlebury College Museum of Art in Vermont. 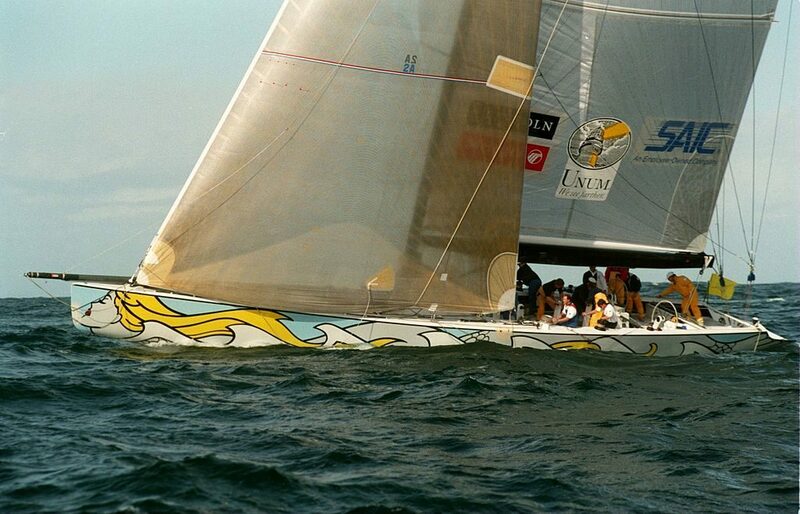 The Roy Lichtenstein-designed “Young America” at the 1995 America’s Cup. Photo: Stephen Dunn/Getty Images Sport. 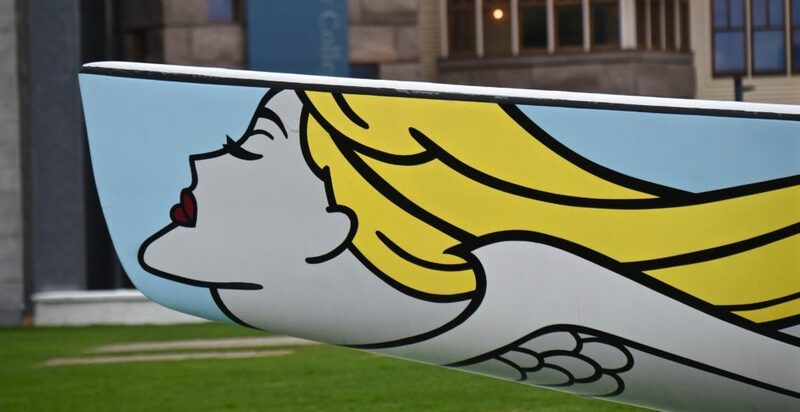 The boat, dubbed “Young America,” is decorated with the Lichtenstein artwork Mermaid, which features an undulating blonde with a grey fishtail moving gracefully through waves. 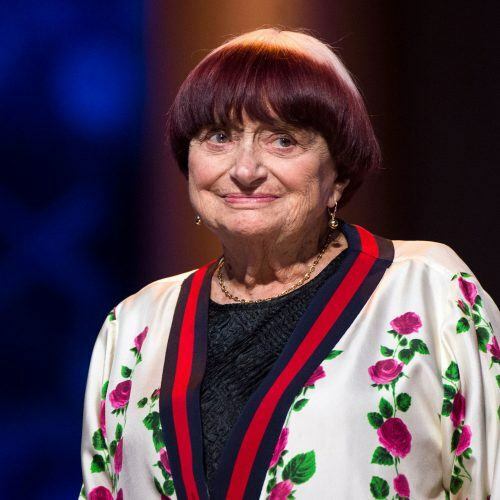 The first and only time a boat in the America’s cup was designed by an artist, the idea was to inspire young people. Mahaney, an art collector and patron at Middlebury, his former college, says when he first met Lichtenstein to discuss the boat project he brought his children along. And when Lichtenstein lay down on the studio floor to do crayon drawings with them, he knew he had found the right man for the cause. The collector owns the first sketch Lichtenstein did of the Mermaid and it is also on view in the exhibition along with other preliminary works, a series of models, as well as the premiere of a 2017 film by Theodore Bogosian, who documented the artist working on the commission and the race itself. 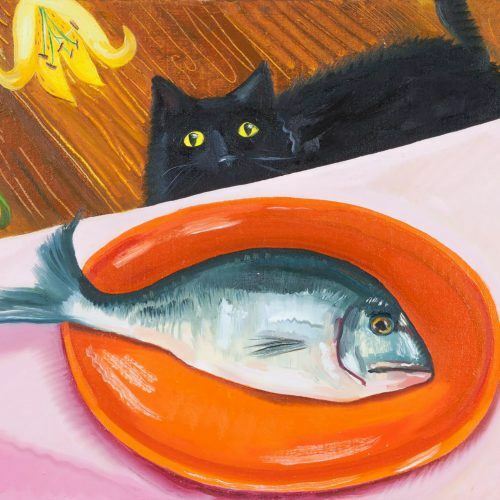 Mahaney says he likes to collect art from sketch through to the finished product, by such artists as Sarah Morris and Richard DuPont, to illustrate to students how much effort is involved in artmaking. In the case of Mermaid, for example, the artist tweaked the chin of the mermaid over and over to get it right. 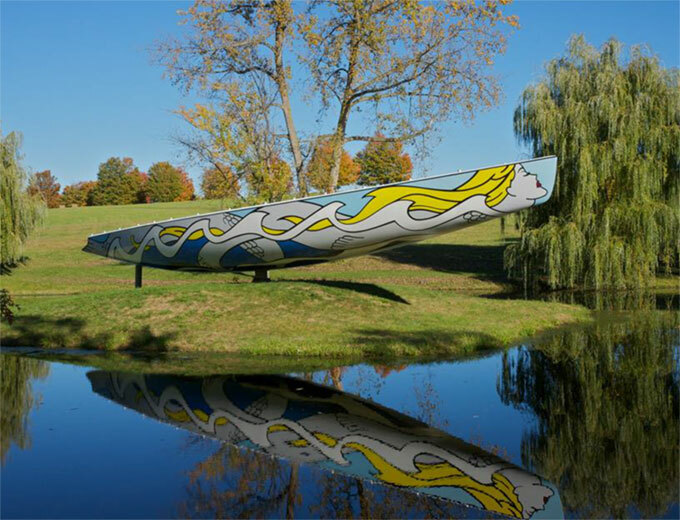 The seventy-seven foot hull, which has been displayed at Storm King in Mountainville, New York since 2003, is currently poised spectacularly above a pond on the campus. 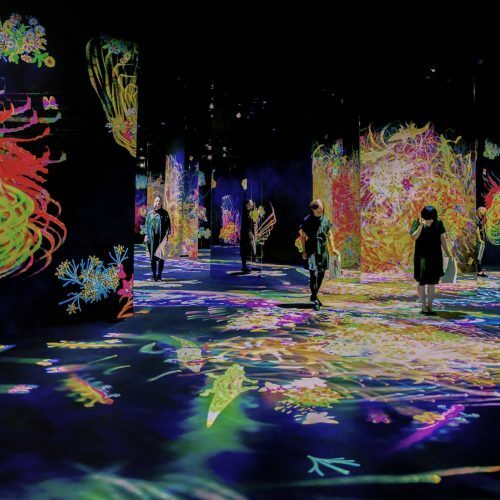 It will then travel to Newport, Rhode Island, for a pop-up exhibition this fall, says Mahaney, before hopefully heading to the Whitney Museum of American Art, where the project was first announced a quarter-century ago. 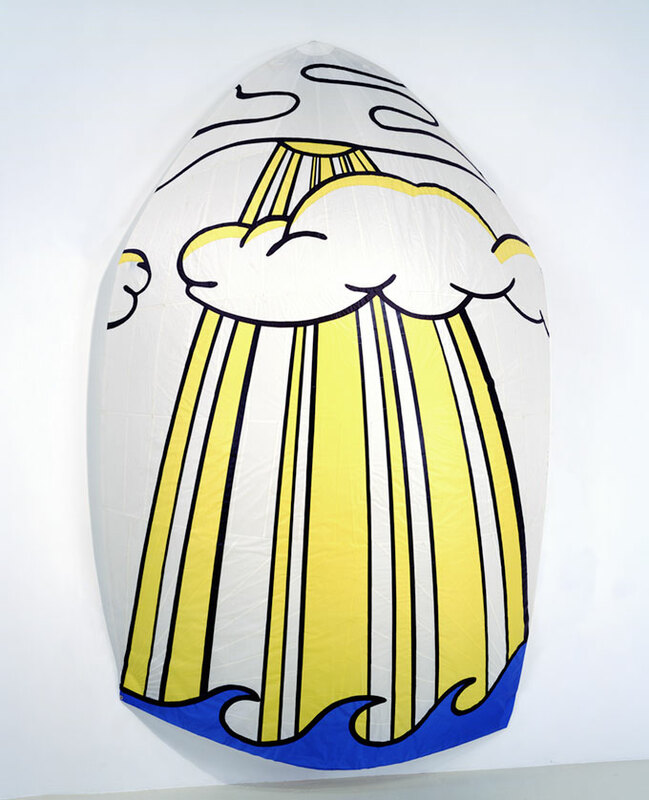 The sail, or spinnaker, also designed by Lichtenstein—a glorious sunburst design—has been missing since the race. In the hopes of displaying the hull and sail together, Mahany is offering a $25,000 reward for its return. And while “Young America” didn’t win in 1995—an America’s Cup that is controversial and debated to this day—Mahaney still plans to head to Bermuda to catch some of the races.